Francisco Godikinho from Sintra (Portugal) provides an insight to his kind of complex_city of sound. Release in November by Crazy Language, this album includes 17 songs and it is an amazing trip starting at point zero pushing you from left to right and from top to down. Some songs begin really calm and do not loose these wonderful moods until the end where others break inside and wrench out your personal mind drifts. 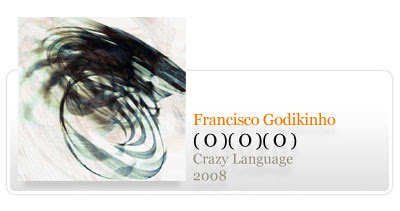 The quality of Francisco's music is amazing and you will find ambient songs, IDM abstractions and four to the floor music.